Who don’t wants to get opportunity for Black Friday Shopping standing in first line when you have got the opportunity to buy your favorite’s products with huge discount like a 55-inch flat screen TV from Best Buy? If so and you’re planning from now to get this one, then unfortunately you are too late, like one week late!!! Don’t get surprise with that news, because along with retailers, shoppers also being competitive on this Black Friday shopping. According to local media in St. Petersburg, some shoppers setup their camp outside the local store of Best Buy on 14th Nov. in hopes of getting a 55-inch Flat TV for themselves. Last year’s Black Friday a family camped for shopping on that store for 9 days ahead of Black Friday. 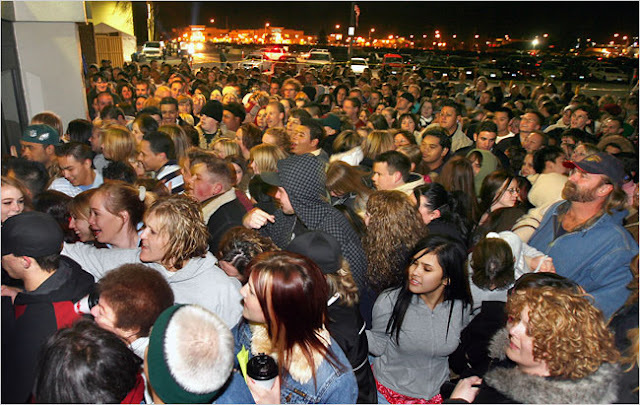 According to ShopperTrak, on last year’s Black Friday, more than 200 million people crowded their respective shops stores who deal with Black Friday had spent $10.69 billion on a single day sales. This year it may increase up to 15% from last years.